DJ/Producer, Composer, Engineer and Psychedelic/Goa Trance pioneer Ben Watkins talks Juno Reactor and The Mutant Theatre, and dishes out seven tips to help you develop your own unique sound that will translate across genres. Ben, we all want to climb the ladder and attain massive amounts of fans with our music, but how do you balance creating something popular versus something real? There are the very successful DJs at the top of the league out there earning money that every aspiring kid can see. The problem is imitating them—only making music in order to sit next to them or get in on their shows. They want to progress; they only way it seems like they’d progress is if they imitate the people that are in front of them. I have to follow my own nose, whether I’m right or wrong. I have to be different and I’ve been doing that for a long time. With the Mutant Theatre live show and later the album I thought, you know, it would be great just to bring something new that’s not just reselling the same old rubbish to the audience. 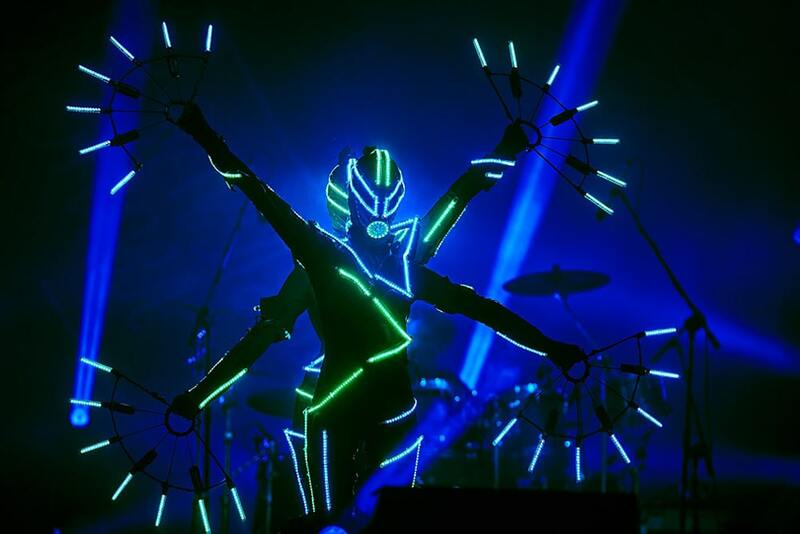 The story of Juno Reactor is an ever-evolving momentum that constantly pushes the limits of electronic music. How do you tell this story through the music? My tracks are stories in my head and the sounds are my characters. Once I can see the story clearly, I know how the track should be. I can be working on a track for months and I still haven’t got the story complete in my brain. But once I’ve got that story in my head, the sounds are like characters that talk to me. Once you have a plot you have the characters, the sounds. It’s a bit like sculpturing; getting a big rock or granite and starting to chip away at it. Juno Reactor & The Mutant Theatre continue to push the boundaries of dance music and live performance but still maintains a psychedelic root. How do you come up with all these out of this world sounds? I have what I call shadow sounds. If I’ve got a synth line, I’ll then put a shadow sound just behind it. It could be another synthesizer, percussion or a voicing. I’ve always done that. In a lot of modern productions, the synth is already up in someone’s face—up against a window! So I give my themes a bit of decoration; I back them away from the front of the mix. I just call them shadow sounds. I like to use the MetaFilter on these sounds, it has so many possibilities and I like the step sequencer especially for shadow percussion. On ‘Let’s Turn On’, Michelle’s [Adamson’s] vocals are going into the Morphoder plugin and then I sent that out to my Hughs & Kettner Tri-Amp MK2 [amplifier]. I’m micing it up, distorting it, and then returning it back to the desk. I used this underneath her main vocals. Ben, is it true that you never listen to your old tracks? Talk to us about the ‘Return of the Pistolero’. What made you want to revisit this massive hit? I’m not interested in visiting my own museum! I’d rather focus on the future. When my booking agent asked me to do a new version of ‘Pistolero’, I didn’t think it was such a brilliant idea. I was worried that fans of the original Pistolero wouldn’t like it. But I got together with guitarist Amir Haddad (Juno Reactor, Hans Zimmer), and in a day we had the main riff. Which is not easy; putting an acoustic, nylon-stringed guitar on an electronic track and retaining its sound in the mix. I’ve mixed that track about eight million times to try and get it right. I’ve got a few transient designers in my collection, but I found Smack Attack [transient shaper plugin] to be incredibly helpful for bringing out some length on those notes of the acoustic guitar in “Return to Pistolero”, and I ended up using it a lot on final mixes for the Mutant Theatre album. You’ve collaborated with film composers, video game designers and ensembles of musicians from across the world. What can you share with us as far as collaborating with others? It’s more about the vibe and getting intimate with the sounds. What I love about working with people is actually meeting them. You don’t just get a superficial loop or sample, you get to breathe, listen and work with their culture. Whether it turns out to be a good record or bad record, to me it’s about the memories and experiences. When I’m working with someone, my attitude is to let them do what they do, and I’ll sort of sit back for a minute and decide what I would like to do with it as well. I’m a bit like a human crow; I want to get in your brain and steal your ideas! When you’re working in the studio with someone, it’s not about teaching anything to each other, it’s about finding that one thing you can get from each other to make it work. 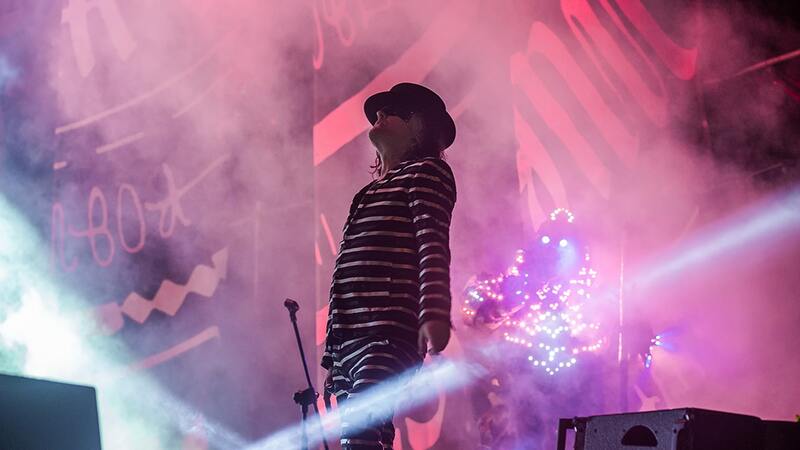 Your collaborations, global influences and approach to productions have given Juno Reactor a genre-less aura. How can someone get their sound and voice to translate across genres? Try to be different and make the difference. Go out, research stuff, listen to lots of music that aren’t really part of your genre and bring that into your genre. For any genre to move forward, you have to bring in influences from outside. I remember Jimmy [Cauty] from The KLF saying to me; “Have you ever done a track that lasts an hour?” I said, “F@*k no!” He said, “You should try it.” So, I went into the studio about a week later and sort of mentally laid out this idea of doing a mix that would last an hour and started creating something that later became Luciana, which runs for sixty-one minutes and twenty seconds. I’ve found exercises like that really useful; jumping out of your own perceived genre and doing something completely different. Even though you might not be able to sell it and it might not be any use to you, you might pull something from it. Juno Reactor & The Mutant Theatre takeover DEF CON 26 at Caesar’s Palace, Las Vegas. 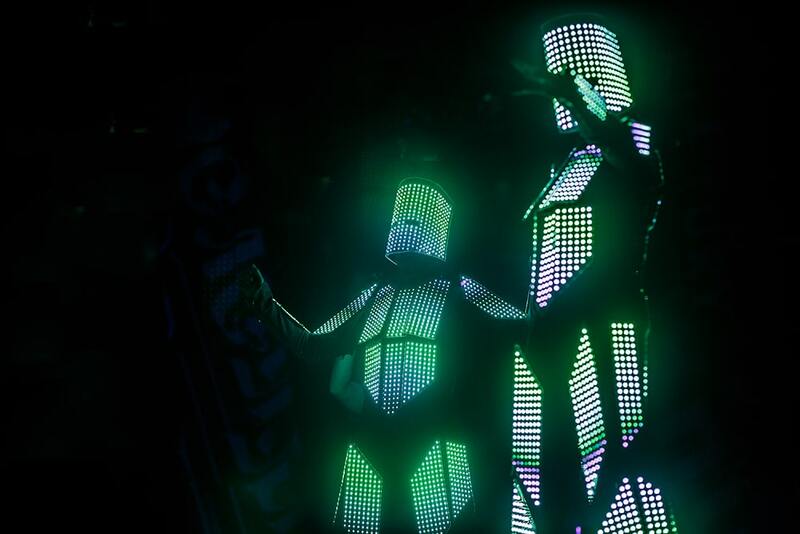 Tell us about the Juno Reactor & The Mutant Theater live show. What’s in store for the audience? I come from a very performance-based background. I’ve been in bands, I’ve sung, I’ve been a DJ and I’ve done art installations. The Mutant Theatre is where all these things collide. I’d been thinking of a show like this for five or six years already. I thought it would be great to just bring something new that’s not just reselling the same old rubbish to the audience. I really wanted a Las Vegas-style show for trance—something that gives more than just the posturing of musicianship and mixes theater, dance and psychedelic visuals. 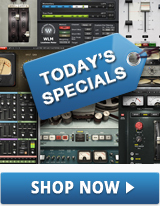 See more artist stories and learn more mixing and production tips from the industry’s top sound engineers, producers and musicians.